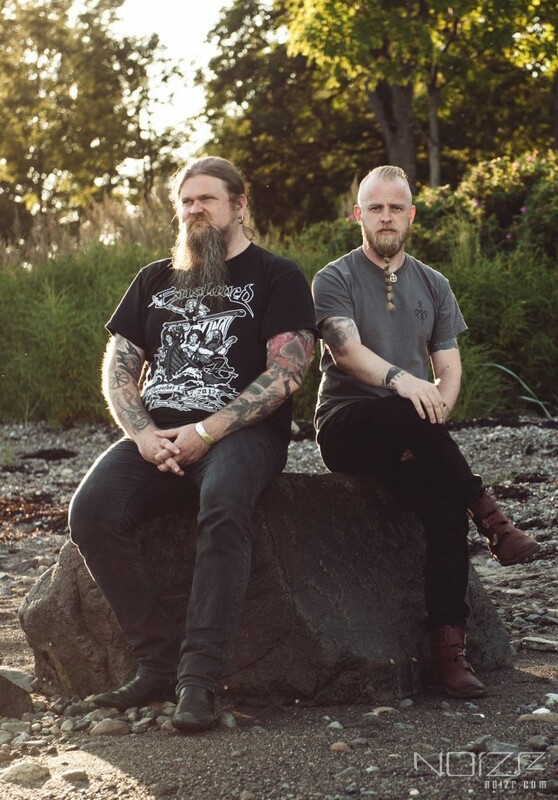 Season of Mist has announced the signing of the new project Ivar Bjørnson & Einar Selvik's Skuggsjá, formed by Enslaved’s guitarist Ivar Bjørnson and Wardruna’s leader Einar 'Kvitrafn'' Selvik. "When we were asked to write a joined convert piece by the Eidsivablot festival for the 200th anniversary of the Norwegian constitution, we both immediately saw the outline of something massive and important," — Skuggsjá’s members comment. "Our performance confirmed that this project should live on, develop and thrive. During 2015 we have performed the piece once more at the Roadburn festival, and have also discreetly slipped in and out of studios around Norway to record what is to become our debut album." "Skuggsjá" is translated from Norwegian as a "mirror" or "reflection". The duo's debut performance took place on 13 September 2014 at the Eidsivablot festival in Eidsvoll, Norway. The first album of the project is scheduled for release in early 2016.